Hey everyone! Welcome back to another challenge over at Polkadoodles, the new challenge is white plus one other colour. The other colour I chose to go with was brown. I printed off Octavia Moonfly Whistful stamp on kraft cardstock and coloured her up with my Faber-Castell Polychromos pencils. I did, however use ever single brown shade pencil in the 120 count set. 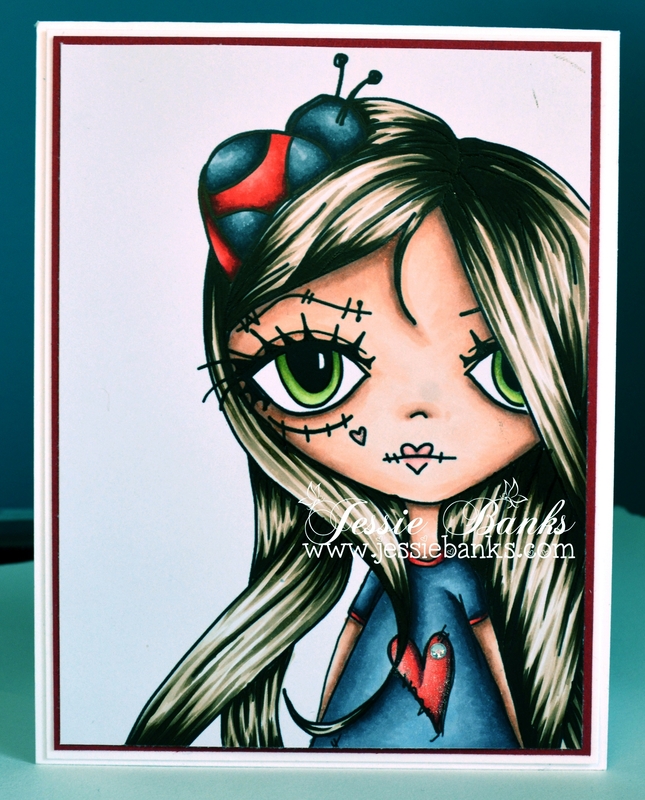 I then matted her on white card and dark brown card. then I used one piece of patterned paper from the Violin Theme Paper , and then 4 wood dots finish off this card. Hey everyone! These weeks challenge over on the Polkadoodle bog is Fall/Autumn Colours, I used the Autumn/Fall bundle, and coloured it up with my copic makers. 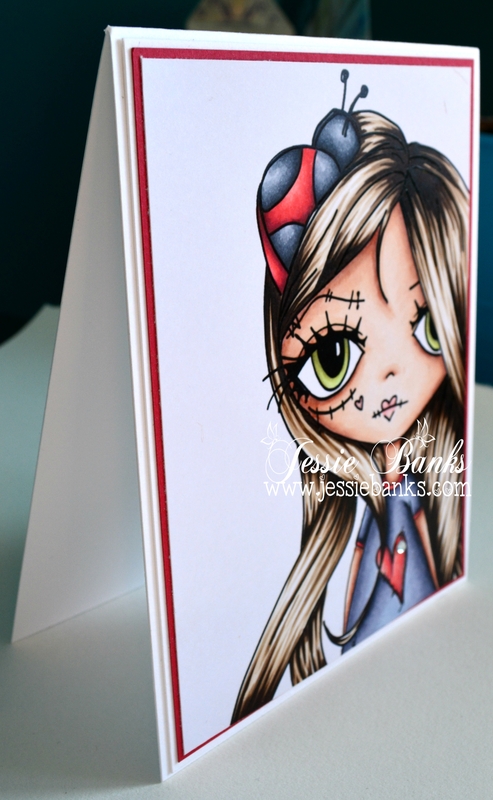 I have been loving simple cards lately and this is no exception, the coloured image on some solid cardstock and that’s all there is to it!. Hey everyone! 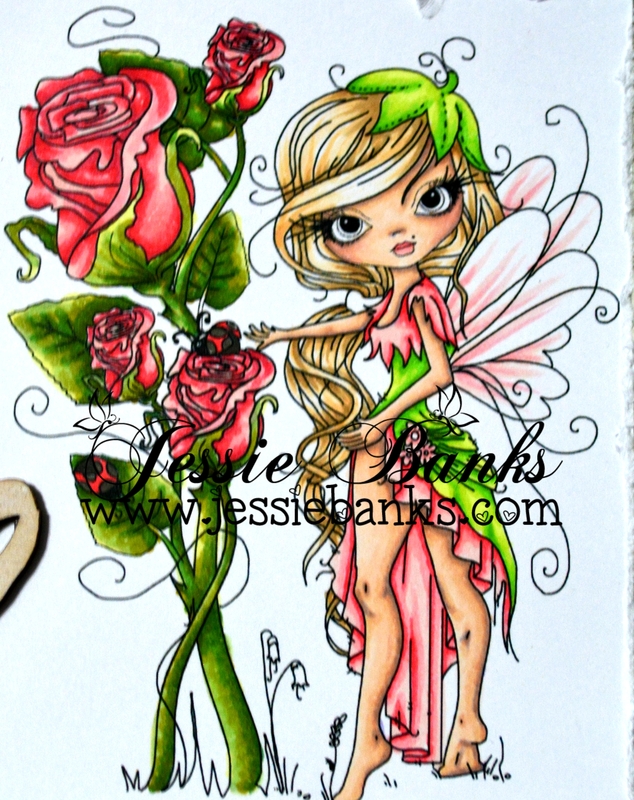 I am here today with a new challange over at the Polkadoodles Challenge Blog, this challenge is spark, bling, glitter all that shiney, sparkly, shimmery stuff! 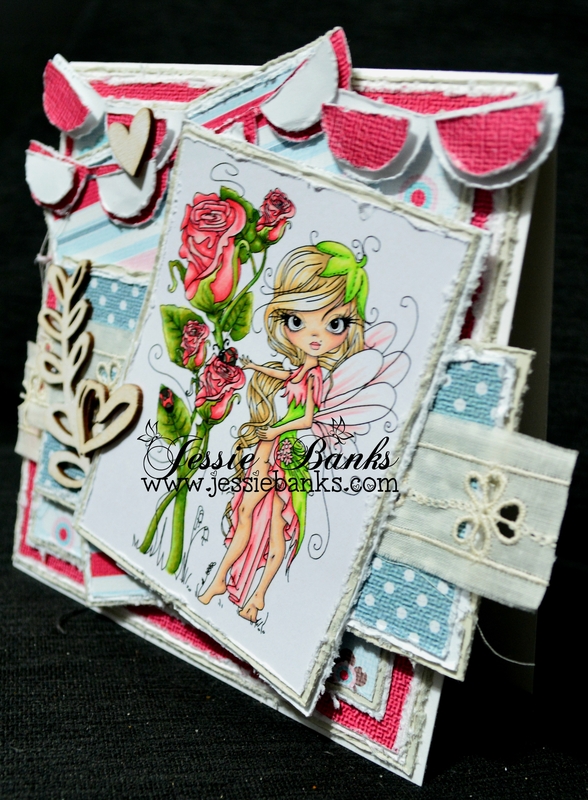 For my card I have used Odella with Bag from Ickyink and blew her up nice and big on an A2 size card. For my glitter and bling I used wink of stella on the heart on her shirt and cheek and then I added a single rhinestone to the heart on her shirt. Hey everyone! Today I have a new card for you to inspire you to take part in Polkadoodles challenge Use A Diecut. For my card today the image as well as the patterned paper all come from the Octavia Moonfly Big Kahuna Bundle. I coloured her up with my copic markers. 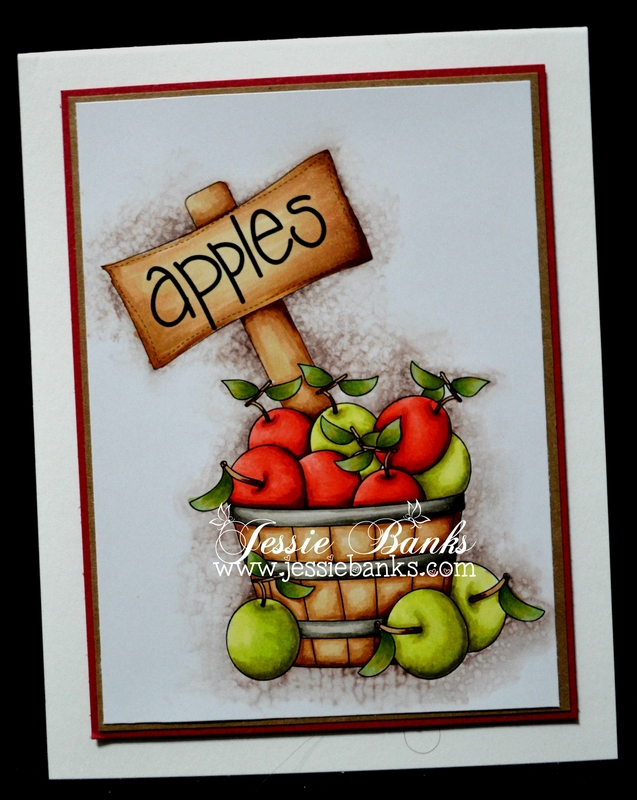 I love adding die cuts and little things tucked in behind my images to just add more small details, for this image I chose to die cut some simple banners and layer them up and put them on the top of the card.